Happy fall! Back to school, back to work… back to baking! After a long hot summer let’s welcome in that cool autumn breeze by turning on our ovens! 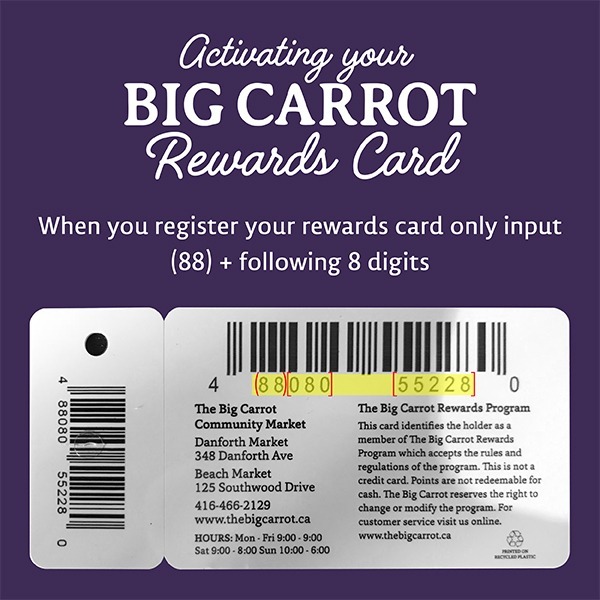 September is a wonderful time to get re-inspired in the kitchen. Long gone are the days of sending your kids to school with a peanut butter sandwich. Food allergies are now pervasive in North America, the most common being dairy, peanuts, tree nuts, eggs, soy and wheat. Whether it’s your child or one of their classmates with an allergy, navigating bake sales and birthday parties has gotten a lot more complicated for parents and a lot less fun for allergy afflicted kids. This is where author Amanda Orlando comes in. 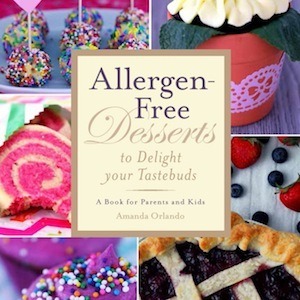 Her book Allergen-Free Desserts to Delight Your Taste Buds offers families dozens of decadent recipes that exclude common allergens. Amanda Orlando knows allergies. You might even call her an expert; she has to be. She grew up severely allergic to dairy, nuts and legumes at a time when food allergies were far less common. As a result she often felt left out as a kid (how could you not when you were physically separated from everyone else at parties!). Despite, or perhaps because of her intolerance to common ingredients, Amanda became an avid baker. The result, years later, is a big glossy book full of sweet delights. Bookshelves are chock-a-block full of tempting dessert recipes. The trouble is most of them don’t cater to those with food allergies. Navigating through hundreds of drool-worthy pictures in the hopes of finding one, just one, recipe that you can actually make is extremely frustrating. Been there, hate doing that…! For many people grain, gluten and dairy free “Paleo” recipes are a great option (if you are so inclined check out my review of Against All Grain here). Unfortunately for those with egg and nut allergies Paleo recipes rely heavily on both of these ingredients. In this case, Amanda’s Allergen-Free Desserts is a great option. The book is a classic baking book – full of flour and sugar – but offers a different allergen free twist. Need to make a pound cake without butter? How about cupcakes without dairy or eggs? Peanut butter cookies without the peanut butter? No problem, Amanda has figured it out for you. Recognizing that most cookbooks are catered to adults, Amanda has designed her book with both parents and kids in mind. Each basic recipe (pound cake, scones, muffins etc.) comes with a variety of options. Why not turn that cookie into an ice cream bowl (see page 241) or that vanilla cupcake into a campfire snack laced with marshmallows and chocolate (see page 217). There is also a chapter dedicated to getting creative. Adventurous bakers can transform cupcakes into flowers or eyeballs, depending on the occasion! Egg-free brownies (p.123), Sunbutter cookies (p.77), Sunbutter chocolate bars (p.109), Rice Pudding (p. 257), Banana bread muffins (p. 35), Olive oil & Herb Muffins (p. 29), Princess Pear Mini Cakes (p. 225). And if the names aren’t enough motivation to get your apron on, wait until you see the pictures!